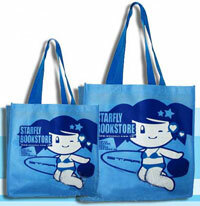 Specializes in manufacturing recycle bag, non-woven bag, canvas bag, Jewelry bag, plastic bag, shopping bag. 100%-Recycle bag is specialize in designing and manufacturing of non-woven recycle-bags in Hong Kong. Our company is famous for fashionable design , high quality , prompt reaction to the market and strong time management. 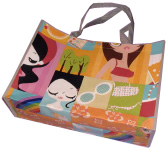 100%-Recycle bag is composed of a team of expertise in designing and manufacturing of recycle-bags. Our products include non-woven bags, Jewelry bags, Canvas bags, Plastic bags, packaging bags and shopping bags. They are all made of non-woven materials which are waterproof, elastic, non-toxic and rich in colours. Welcome to contact us.